Tyrannosaurus rex by Josef Moravec. Original oil painting 30" x 24". (Framed). Tyrannosaurus rex. Printed on premium photo quality super "B" paper 8.5" x 11". Original art by Josef Moravec. 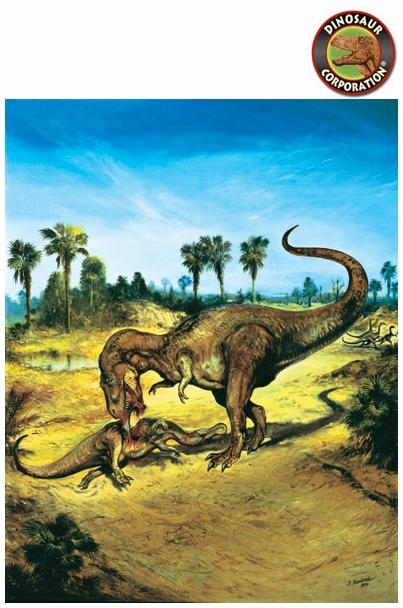 Tyrannosaurus rex eating Anatosaurus in 14" x 17" museum quality frame. Double matted in glass. Original Art by Josef Moravec.